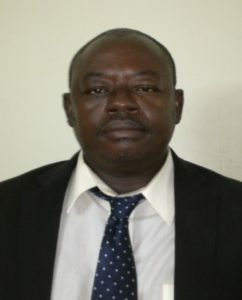 Ferdinand Ouedraogo is Assistant Professor of Economics and Renewable Energy at the University of Ouagadougou, Department of Economics and Management (Burkina Faso, West Africa) and Founding Director of the African Institute of Rural Bio-Economy (IABER), a private laboratory of theoretical and applied research in the field of agriculture, the environment and renewable energies. He teaches microeconomics, natural resource and environmental management, the carbon and renewable energy market, food security strategy, Agricultural Commodity Exchanges and market information systems (MIS) for first and 2nd cycle university students. His research focuses on failures, interferences, intelligence and market efficiency in sub-Saharan Africa. He is the author of numerous books, important inventions and publications of articles in refereed scientific journals. Mr. Ouedraogo studied economics and renewable energies at the University of Grenoble (France) where he obtained his Master degree in Economics in 2004, and his Doctorate (Ph.D) in Economics in 2009. Subsequently, he completed postgraduate training at Michigan State University (USA) in 2010 and 2012 by obtaining a first university certificate in biofuels science and technology studies, and a 2nd certificate in intellectual property rights and technological transfers studies. In 2013 and 2014 he was also a visiting scholar at Plattsburgh State University of New York for a presentation of his research on market failures, economic interference and the intelligence of agricultural markets. In 2015, Mr. Ouedraogo was still a visiting scholar at Michigan State University to help set up a network of food safe experts for Africa. Mr. Ouedraogo has also conducted numerous research and development consultations on behalf of FAO, the World Bank, the African Development Bank, the European Union, GTZ (now GIZ), the USAID, the SNV and Oxfam Novib for the benefit of many African countries such as Burkina Faso, Mali, Niger, Senegal, Chad, Mauritania, The Gambia, Ghana and Cameroon.